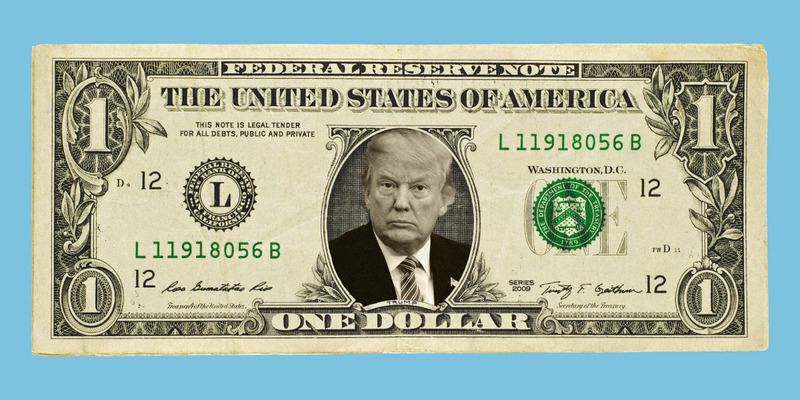 Media reports in recent weeks have suggested President Donald Trump is ready to stage an intervention to weaken the dollar. A note from Macquarie this week highlighted a series of issues with any attempt to do so. Interventions from major economies are rare – except in the most exceptional circumstances – and are not usually undertaken simply because a leader is unhappy with the strength of his country’s currency. Even if Trump succeeds in an intervention, it may not actually fulfil his aims. President Donald Trump is preparing a possible intervention in the currency markets to prevent the continuing surge of the US dollar, according to numerous media reports over recent weeks, but that may not actually fix the issues he has with America’s rampant currency. That’s according to Thierry Wizman, a strategist at Macquarie, who believes that even if Trump manages to navigate the many diplomatic hurdles to intervening in the dollar, doing so will not really solve anything. “While past interventions have been done only with the assent of other G-7 countries, Trump’s willingness to deviate from past practices in international-economy policymaking seems to raise the probability of unilateral intervention,” Wizman, alongside Teresa Lam, Gareth Berry, and Nizam Idris, wrote. That unilateral intervention, however, would still need Trump to negotiate a series of issues domestically and internationally before actually getting involved. First up, he’d need the help of the Federal Reserve. While Trump and Treasury Secretary Steven Mnuchin would be the ones to make the decision to artificially devalue the dollar, the Fed would be responsible for actually undertaking that devaluation. The Fed is independent of government, and as such, is not bound to do the bidding of the president, so Fed chair Jerome Powell could, in theory at least, refuse to undertake such an exercise. 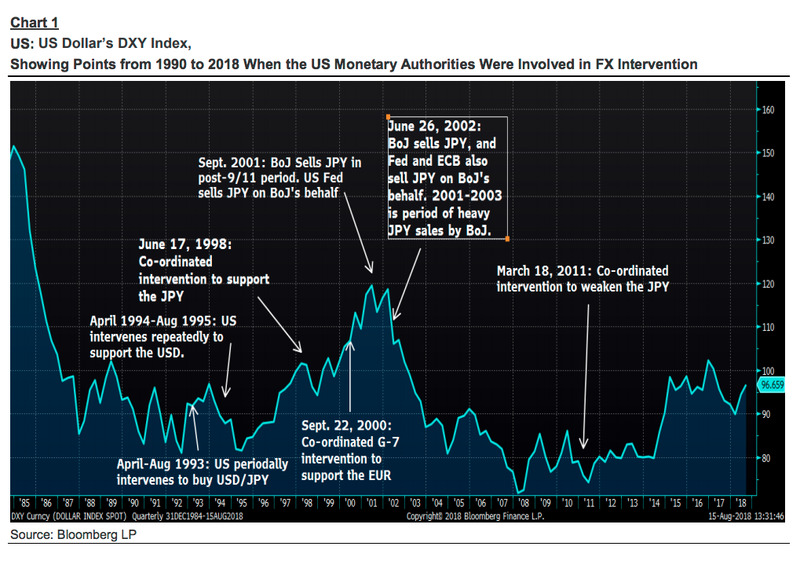 “While it is the Treasury that has primary purview over USD policy, intervention takes place in consultation with the Fed, and the intervention is conducted by the Fed,” Wizman and his team wrote. Not only would hurdles present themselves at home, issues would abound internationally. First off, currency interventions have historically only been undertaken by major economies if they have the backing and cooperation of other influential states. “Past interventions that involved US authorities have usually been coordinated with the G7 in response to extraordinary events,” Macquarie’s team wrote, pointing in particular to the 2011 G7 intervention to weaken the Japanese yen after the devastating Tohoku earthquake and tsunami. Given that Trump’s sole reason for favouring a currency intervention seems to be to make the US more competitive in terms of trade, it seems highly unlikely that any G7 members would be willing to help. That would mean a unilateral intervention by the US. “Unilateral intervention would violate implicit agreements, and would be resisted by the Treasury’s diplomats,” Macquarie said. A final impediment is a legal one, Macquarie notes. 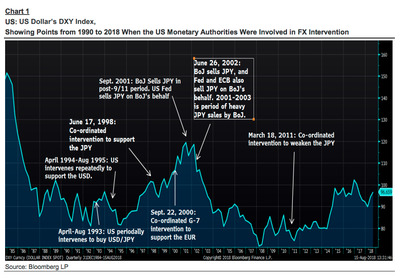 Currency interventions in the US are regulated both by rules from the Federal Reserve and the wider international community, including the International Monetary Fund. Under those rules, currency interventions can only be legally justified “to ‘counter disorderly market conditions,’ in cooperation with foreign central bank,” according to Wizman and his team. Assuming Trump manages to get over those three substantial hurdles, Macquarie says he will have another problem – that intervening in the dollar may well fail to do what he wants it to. If Trump decides this is all too difficult and long-winded, Macquarie said, there is another more palatable option for weakening the dollar: using Twitter. “Trump may resort again to jawboning the USD lower through repeated verbal interventions in (uncontrolled) settings such as stump speeches and interviews, as an alternative to intervention,” the team concluded.